Get the best of both worlds: a bagel and an omelette. That’s breakfast to-go! 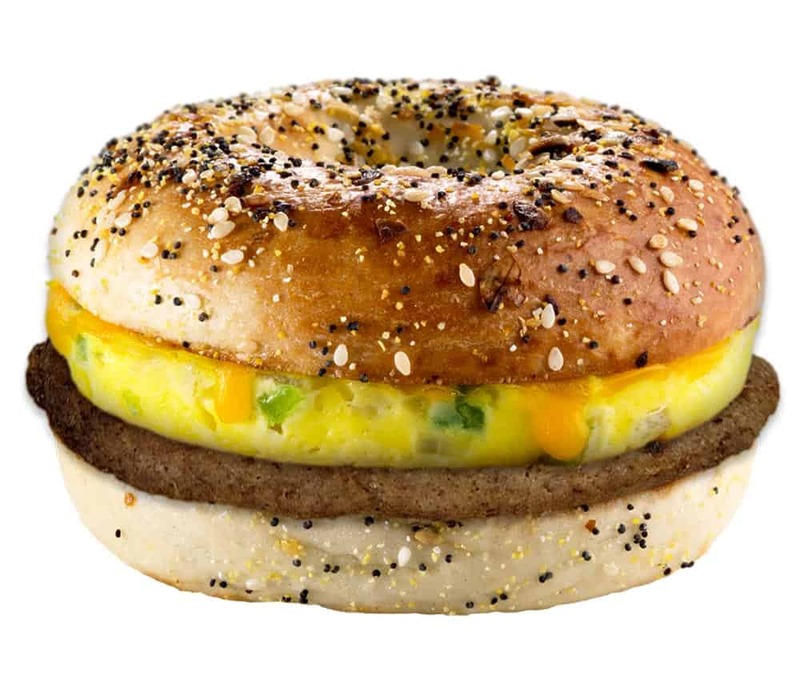 The Western Bagel Omelette is made with fresh eggs, green peppers, onions, shredded American cheese, and a sausage patty, bacon or a full slice of ham – all from Braum’s Fresh Market. Then, it is placed on a toasted plain or everything bagel.